Meet the incredible people who make up our Board of Directors. We are honored to work with such amazing change makers! Daniel Escalante is a Chicano activist and folk furniture maker with over 20 years experience as a trainer, group facilitator, and community organizer. His training has focused on inclusiveness, conflict management, youth leadership, community organizing, and multicultural leadership. He has provided training for numerous schools, municipalities, non-profit organizations, and grassroots groups. In addition, he has developed and implemented multicultural youth leadership programs and conferences at the middle and high school levels. Daniel grew up in Berkeley, California. He has four children and four grandchildren, and has been a foster parent for 30 youth, mostly Apache. He now lives and works at the Casa Taos Retreat Center in Taos, New Mexico. Micah Parkin is a founder and Executive Director of 350 Colorado. She has 20+ years of experience as a climate and clean energy advocate, community leader and organizer, and nonprofit director - first in New Orleans, Louisiana, and, since 2007, in Colorado. Micah serves on the City of Boulder's Clean Energy Technical Team, as well as the Renewables YES and Empower Our Future teams, which are citizen-led efforts to municipalize Boulder’s electric power in order to transition from fossil fuels to clean renewable power. She serves on the steering committee for the Coloradans Against Fracking coalition and the board of Colorado Rising, which is working to pass ballot initiatives to restrict fracking near communities. Micah also serves on “The Shed” – Making Local Food Work coalition and created the Boulder Edible Landscapes Coalition to promote local food growing and access for all community members. She received a 2014 “FearLess Women Leading GREEN” award, Sierra Club’s 2007 Delta Chapter Black Bear Award, a 2014 BVSD Superintendent’s Honor Roll for creation of a model Greenhouse & Garden to Table Program at Columbine Elementary. Micah is the mother of two daughters who fuel her passion to build a powerful climate and clean energy movement, create resilient communities, and transition to a sustainable future. Nicole Nez is a live event producer, with experience managing sponsor relations, executive producer support, acting in roles such as Associate Producer and Production Manager for many mindful, conscious and social impact events such as ARISE Music Festival, Bodhi Tree at Wanderlust Yoga Festival, Bioneers Indigenous Knowledge program and Illuminate Film Festival. Nicole identifies as an "urban Indian" having grown up in Santa Fe, NM immersed in the Native American and Santa Fe art world. Being half Diné (Navajo) and American-Italian, a city dweller and from an upbringing of living on the land with no running water and an outhouse, she's created a life where she walks two roads - straddling worlds and weaving art, culture, music, activism, environmentalism, health and wellness, business management, youth empowerment, and team leadership. Currently Nicole is engaged in many projects: launching a Native American art gallery in Santa Fe, NM - ZOHI Gallery, managing an Airbnb business in Sedona, AZ, and working with a small team of collaborators connecting high level sponsors to a major live event in NM that involves the first live performance from space and the future of innovation. Nicole enjoys enriching her life though creative endeavors and projects that are aimed at making a difference in the world. More specifically, Nicole is interested in restoring dignity for indigenous peoples of the world and empowering the next generations through mentorship. Iris Fen Gillingham is a 17-year-old who has grown up being homeschooled on an off grid farm in the Catskill Mountains of New York. Her family lives and teaches sustainability, growing and raising their own food. Iris raises Scottish Blackface and Shetland sheep and is a hand spinner. She is an artist and independent thinker with a deep interest in her Celtic heritage. She has grown up with the looming threat of the fracking boom coming to her home and the land she loves which led her to become a spokesperson for youth in her community. This brings her to press conferences, rallies, protests and meetings about environmental and social justice issues. She draws on her connection to the land where she lives and the warrior spirit of her ancestry to speak from her heart. She has led workshops and plenaries on youth engagement, ageism and empowerment. Iris wrote as a journalist for the local town youth-led newspaper for the past three years and is very active in her community. She has taught climate change awareness through the theatrical arts and toured around New York State with NACL Theater. She is a member of the Earth Guardians RYSE Youth Council and serves as the Regional Youth Director for Earth Guardians New York. Iris is a voting member of her college senate and leads the Earth Guardians SUNY Sullivan crew there. Jake is a specialist in facilitation, development, and implementation of service learning experiences for students of all ages. He has created extensive international networks with community partners, students, and faculty across institutions to develop mutually beneficial relationships surrounding education, leadership development, and entrepreneurship. Indigenous methodologies and epistemologies guide his philosophical and research approaches to working with youth and communities to promote the health of our biosphere. He recently graduated with his Masters from the UNM Community and Regional Planning program. Since graduating he has successfully completed his teacher license program, the Native Entrepreneur in Residence Program through New Mexico Community Capital and received 1st Place in the UNM Business Plan Competition. His diverse cultural, educational, and epistemological backgrounds provide the foundation of his passion for bridging worlds and promoting harmony and consciousness through Indigenous education. Makasha Roske’s devotion to the younger generations inspired his co-founding of Earth Guardians 25 years ago. He brings over 50 years experience as a social architect, meta designer, entrepreneur, futurist, promoter, networker, and spiritual guide to his participation on the Board. In 1972 he co-founded World Family and has been a principle focalizer for international festivals and link-ups for world peace including World Invocation Day Festivals, the John Lennon Tribute, Harmonic Convergence, Campaign for the Earth, the Children’s Torch of Hope Tour, and Birth 2012. Through entrepreneurial ventures and nonprofit organizations, Makasha has been instrumental in shifting consciousness in the areas of social investing, health and nutrition, gentle birthing, integral education, and conscious community building. He is a co-founder of Shining Mountain Waldorf School in Boulder and has co-facilitated a number of youth leadership programs. In 1996 Makasha, together with his wife, Katharine, and a core group within Global Family, co-founded Hummingbird Community. Hummingbird is a transformational living center modeling co-creation and regenerative practices located on 500 acres of pristine land in northern New Mexico. Makasha continues to be a core steward of the community and holds the space for Hummingbird to become a training center for Earth Guardians. Makasha is an active partner in Living Co-Creation, a business designed to teach the principles and practices of co-creation through coaching, consulting, trainings, and online courses. He is a former Board member of Barbara Marx Hubbard’s Foundation for Conscious Evolution and is involved in a number of groups who are designing and building the social architecture for the emerging new earth. Makasha is the father of 8, grandfather of 22, and great- grandfather of 19. As a guardian of the “new dream”, he is passionately committed to whole systems transformation and midwifing a global co-creative culture in service to the well being of all life. Pippa Sorley is a social entrepreneur with extensive background in strategic development, communications, branding, and marketing for nonprofits, B-Corps, and sustainable + conscious businesses. She is currently Director of Elephant Journal’s online mindful market, “Elephant Market,” where she developed criteria of triple bottom line standards for thousands of ethical products. She has served as a consultant for numerous social impact businesses including Elephant Journal, Slow Money, Pangea Organics, National Community Land Trust, Sustainable Resources, and Whole Foods Market. Pippa co-founded the Internet’s largest philanthropic green marketplace, eConscious Market, in 2006, where she served as both CEO and Vice President of Marketing. She is deeply passionate about all things sustainable and exploring new economic systems that will help shift the paradigm towards a more just world. She loves playing in the snow, cameras, dogs, running trails, philosophy, writing, traveling, and laughing...hard. Vanessa Black is a New York-based filmmaker, multi-media artist, and journalist. She is fiercely dedicated to storytelling that improves the quality of life for society at large. Using a counterculture lens to examine politics, Black’s work has been featured on National Geographic, CNN, Tribeca Film, VICE, Rolling Stone, Huffington Post, Esquire, Now This, RYOT News, Mic, Refinery 29, TeenVouge.com, Teen Vouge (print), i-D Magazine (print), BuzzWorthy, MSNBC, Upworthy, Buzzfeed, NRDC, The Guardian, BBC, and more. Black’s work often focuses on high stakes issues, from the Ukraine Crisis to Climate, working with game changers like Vice President Al Gore, Earth Guardians Youth Director Xiuhtezcatl Martinez, and innovators in the impact space. Black's "Be A Witness: VIACOM x Witness" projection mapping project won the 2016 Proxima DBA Award for best PSA Campaign. Her work has screened at SXSW, Chicago Museum of Contemporary Art, SoHo House New York, The Chelsea Film Festival, 5 Point Film Festival, Focus Film Festival Santiago Chile, The Environmental Film Festival at Yale, and The Environmental Film Festival Washington DC, among others. She has spoken at MCON, SoHo House New York, The New Yorker’s Video Consortium, VIACOM’s annual executive meeting, SoHo House New York, The Environmental Film Festival in DC, Huffington Post Live, and Finding The Fabulous. Her work is affiliated with Summit Series, Nexus Development, The United Nations, Breakout, IVY Connect, and Soho House Worldwide. Outside of her commercial exploits, Black's docu-style storytelling celebrates real people, focusing on every day heroes as the subjects of her projects. Vanessa earned her Bachelor of Arts in Film Production from the University of Southern California’s School of Cinematic Arts. Brooke’s background includes tutoring kids with special needs and and handling finance, operations and communications for multiple organizations. Specializing in maximum effect with minimal budget, she helps with transition in times of growth to greater organization and efficiency. Acting as business solutions and branding consultant, web designer, online strategist and guerrilla marketing expert, she’s supported special needs educational materials, permaculture and organic gardening, artists, entrepreneurs and non-profits. Brooke holds a B.A. in Communications and a minor in Psychology. Experience across industries has granted a depth of understanding for people from all walks of life. She is driven to create a better future for our children and all life on the planet. Communications Coordinator for the Blue Ridge Parkway Association, her work helps bring economic stability to small towns and businesses and inspire the next generation of nature’s stewards. She volunteers for the Asheville Tool Library, part of a nationwide community initiative aimed at correcting socio-economic injustice. Active in her community’s GMO-free movement, she lives lightly on the land with her family, a tribe of rescue animal companions, and the creatures who resided there before she did. Her interests include emerging technology for a brighter future, business ethics, sustainability, education, socio-economic equality, food security, human and animal rights, abolishing all the -isms, and creating. 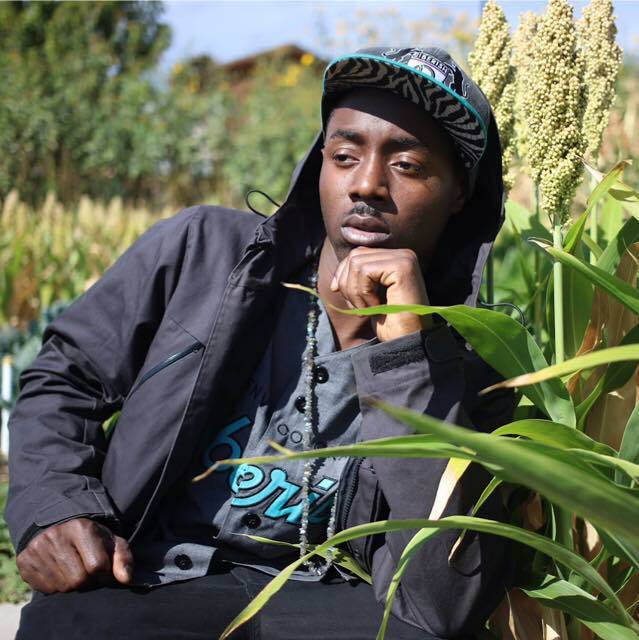 of Eco HipHop and founder of Going Green Living Bling, and co-founder of Culinary Concerts (co-founded by Alkemia Earth) & one of the first O.G.’s (organic gardener) at the GrowHaus in Denver. plant-based eating. In his final project, he produced a music video, Brown Rice and Broccoli, a direct response (in the most healthiest ways of course) to the recent mainstream hit, Hot Cheetos and Takis. The Produce Section is used in many schools, as it introduces the topics of Food Justice and Organic Gardening. He is co-author of the upcoming book Damn Near Raw- The Freshest Vegan Cookbook Ever. His new single entitled Hybrid Lex sparks the subject around air pollution off his next album, Eco-Twerk. Ietef's recent video on Huffington Post FB page received over 18M views, and wA also featured by Fortune, TEDx Manhattan. Other projects include performing at the White House and starring in the documentary film From Gangs to Gardens that premiered at The Hollywood Film Festival and was nominated for the Social Impact Media Awards (SIMA), with distribution on Fubu Tv and Virgin Airlines. Dj Cavem was also featured in Joes Cross’s film, The Kids Menu streaming on Netflix.